British Texan Blend | From over the pond and into the dust…fit life. Maxed out at 6:15, was relieved to find half way through you back off to floor work and, and then triceps. This is intense. I’m fitter than I thought but still had to break and modify throughout. I burned 427 calories according to my Garmin HR watch. Not bad! Ok! Boom. Day 1 in the books and gosh, amazing how unfit I felt doing that first workout, but I have started and the worst is behind me. First impression of this work out is WOW that’s a lot of jumping. I had to do he modifier several times due to knee soreness. I rode my bike 20 minutes before hand so I wasn’t on fresh legs. I maxed out at a pathetic 8:22! 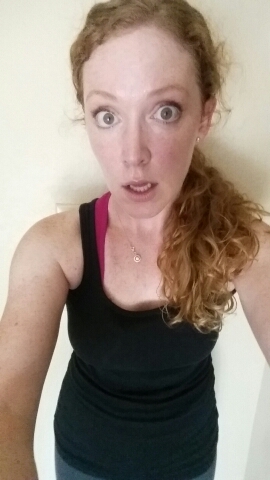 There is a 3 minute cool down, but I did some extra stretching after as my hammies were screaming. Hopefully I can walk tomorrow! So day 1 and 2 of Beta are in the books! I’m crushing it and it feels amazing. Despite all the crazy stress I have in my life right now I’m feeling centered and happy. First impressions. So. FAST. I was nervous to step it up a notch but my body is ready. I’m keeping up and digging the format (less lunges thank God)! These workouts are up beat and fun. I am pouring sweat, it’s running in my eyes but it feels so damn good. I’m thankful for the gifts I have and feeling fit is making me deal with daily life in a productive way. So yah, I’m doing work. Much love. Figured I’d round out Alpha with my results. I am SO glad to be moving on. Here are my stats at 1/3/5 weeks. I’m REALLY happy with the results. Yay. Alpha is done. I went out in style with a double. TBC and lower focus. Something else cool, even though I have lost zero lbs. 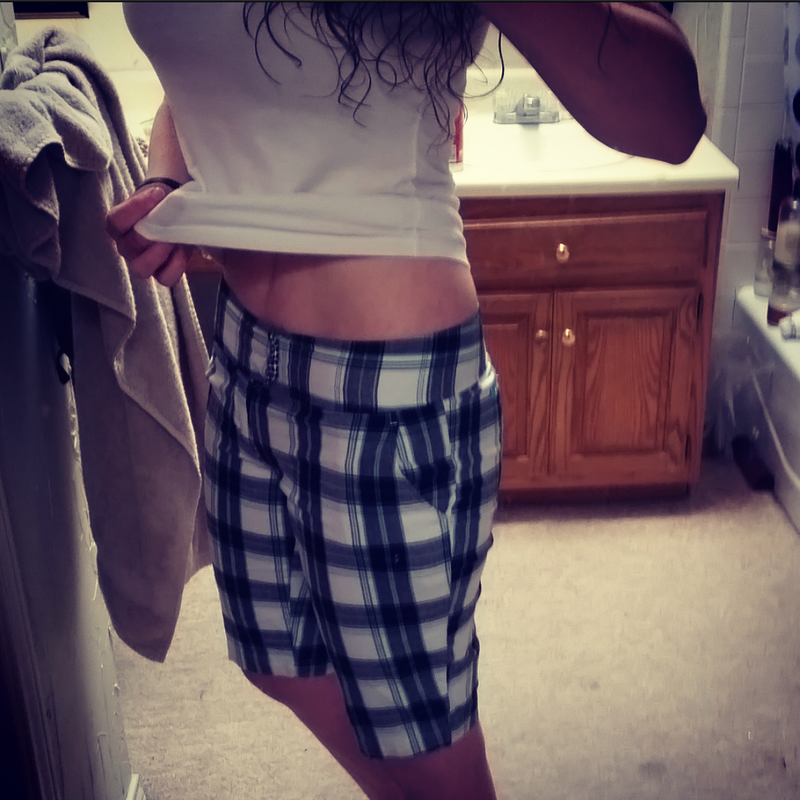 I fit in these shorts which hasn’t happened in 2 summers (size 2/4). Score! 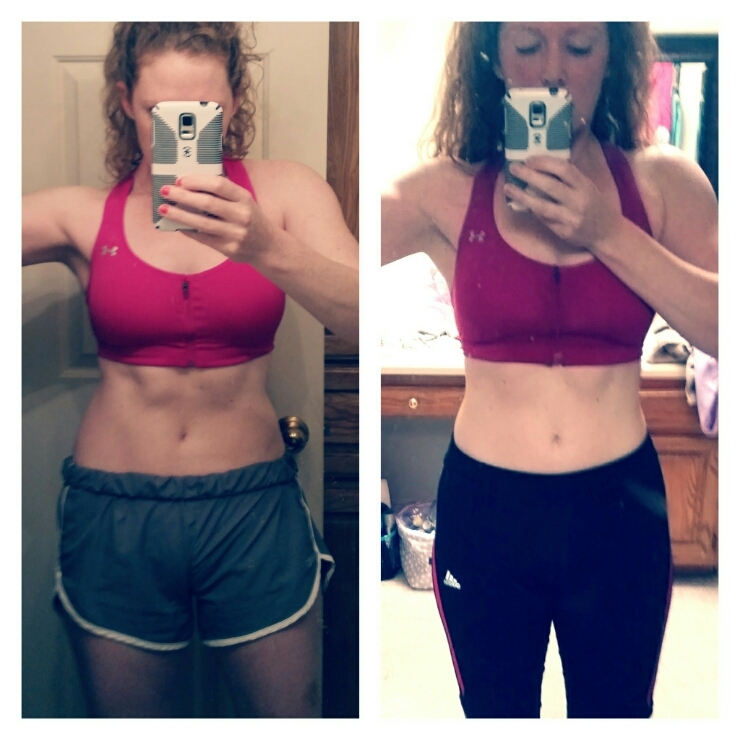 Ok, so I started my T25 Journey on July 20th, 2015. It is now August 26 and I have moved on to Week 5 (no one commented on previous post on whether to redo or move on). I could have redone week 4 like I talked about but I have got to keep moving. I’m beat up, but I can’t look back, only forward. Dreaded excuses but I’m really trying to tell myself to LISTEN TO MY BODY. That’s hard for me. Either way, I’m pretty disappointed in myself as I was hoping to finish BETA by the time we go to Florida for a wedding the last week of September. I’ll be a week shy, so perhaps I’ll finish BETA on holiday. HA HA HA. Right. 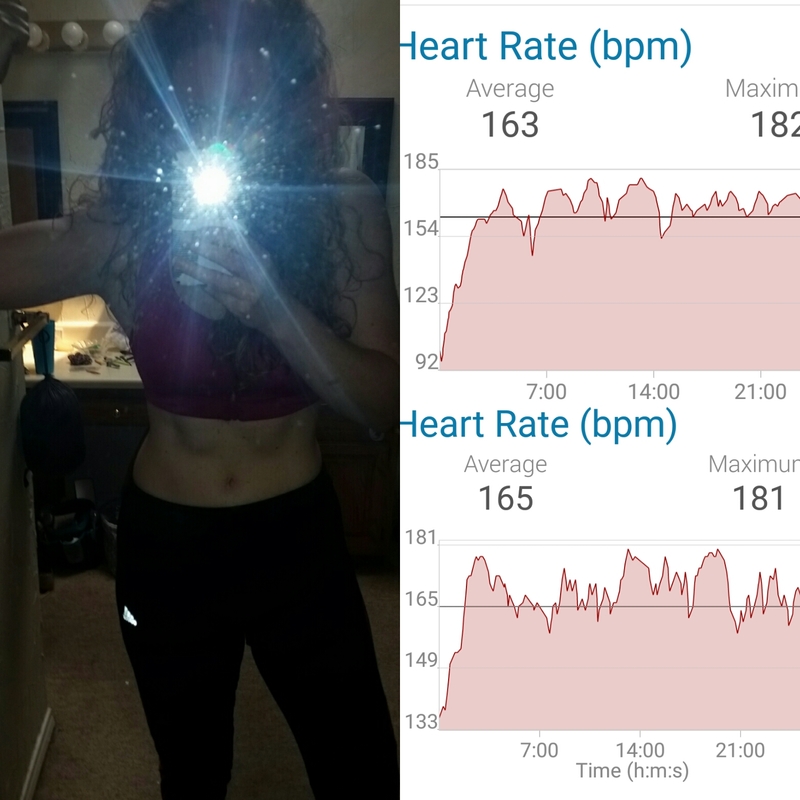 Anyway, last night was Total Body Circuit. It was a good effort and I am completing all moves (still modifying half of the push up sets), sweat pouring more than ever it seems like. I’m looking forward to measurement day. I have had three people this week mention my physique so that has to be a positive sign. A lady in my office actually commented on my “big arms”, I wasn’t sure whether to be offended or delighted. Such is life. Diet is non-existent. I’m eating good clean food, and tracking calories but it is not something I’m too worried about as again I’m trying to listen to my body. Shakeology in the mornings is a Godsend (I drink it with coffee and ice) and I’m back taking ActiVit. I’m REALLY trying to stick to the no drinking during the week thing, it is hard but there is no booze in the house now so hopefully I can stave off the desire to pop over to the store and grab some nice frosty cold coronas. Die.